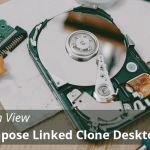 Today we will discuss about How to create Dedicated Desktop Pool with Full Clone Technology. 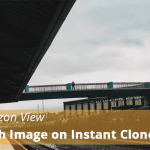 Normally Full Clone desktop pools are used for dedicated user assignment, who demand dedicated workstation for their day to day operations. 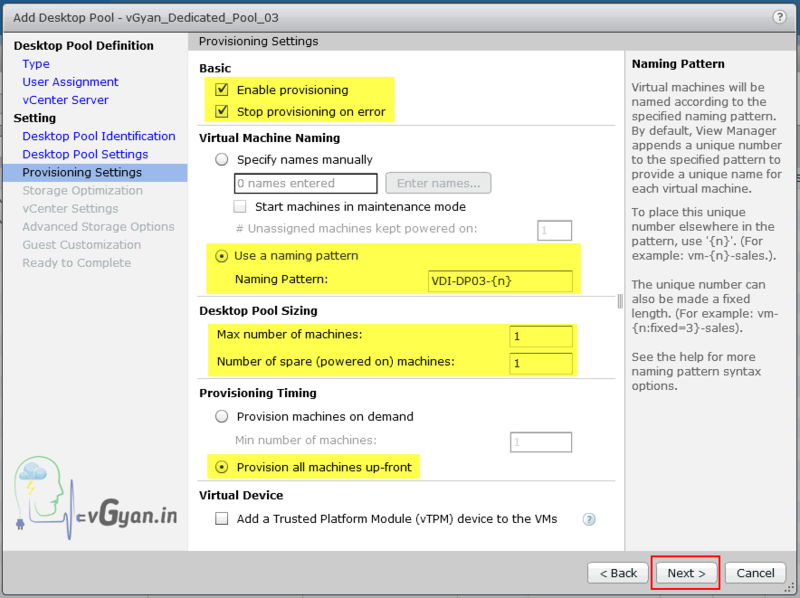 Before proceeding, make sure you have created Windows 7 template and dedicated VM folder “vGyan_Dedicated_Pool_03” for virtual machine placement. 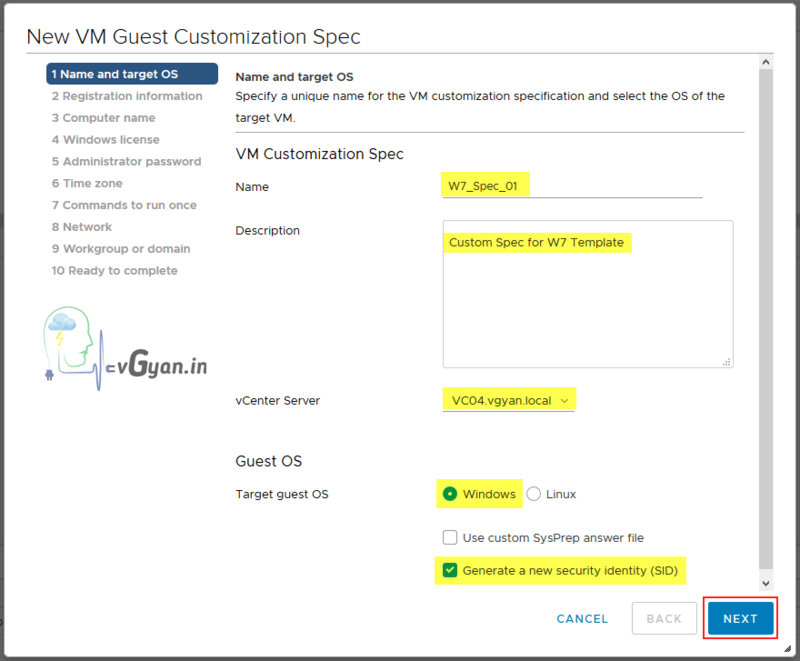 Select VM Customization and Specification > Click on +New. 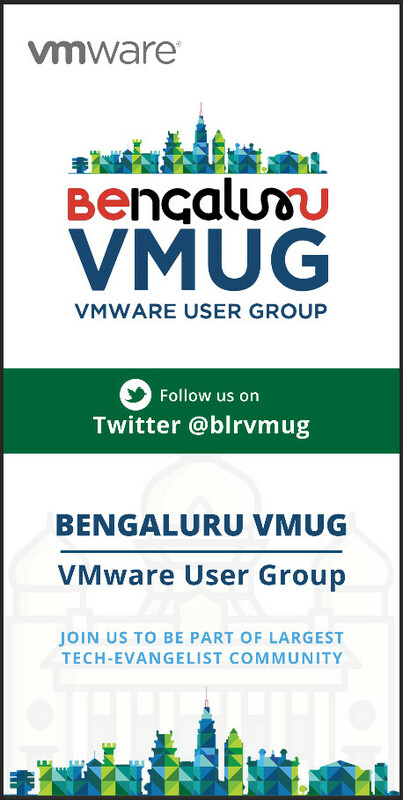 Below slideshow having few screenshots from VM Customization and Specification setup. 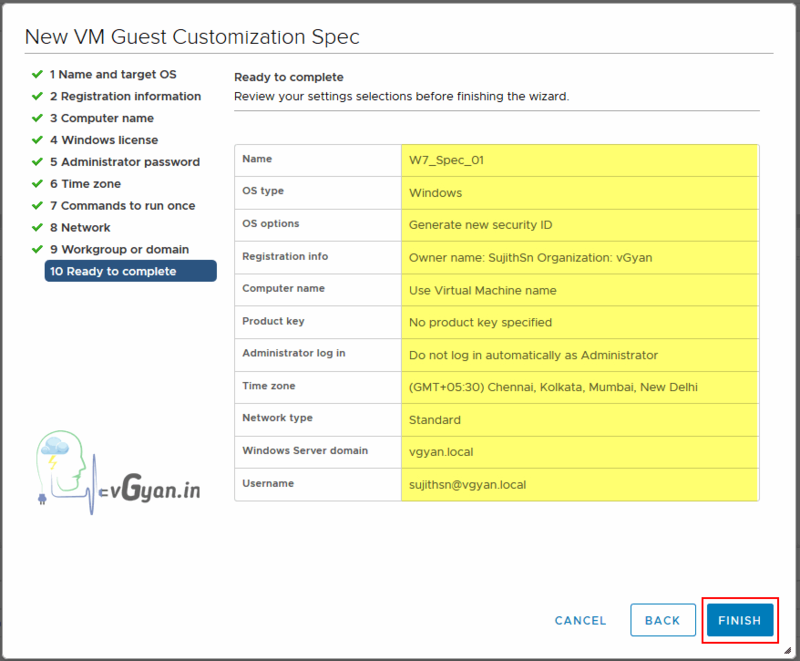 Verify all details and click Finish. 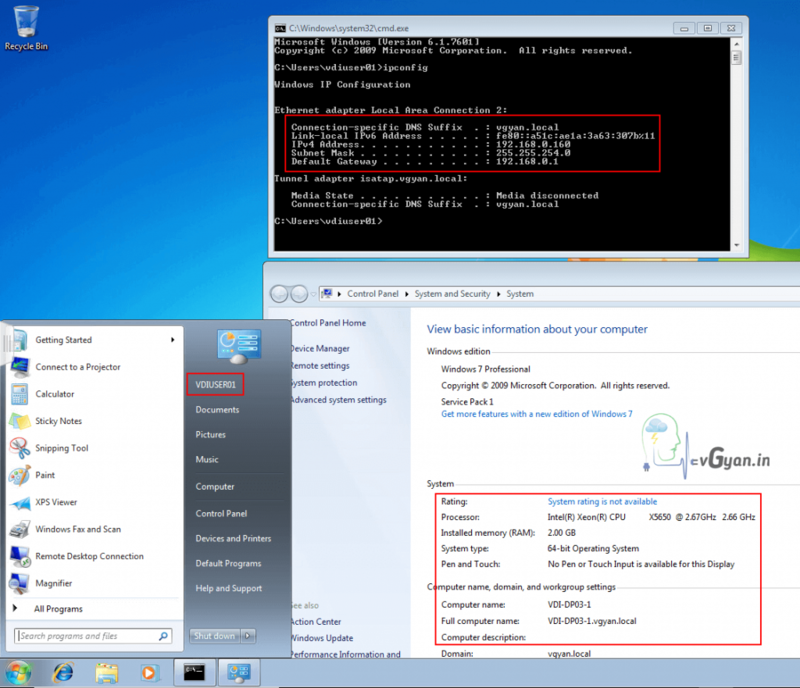 Verify newly created “W7_Spec_01” is available under VM Customization and Specification. From View Administrator console, Under Inventory > Catalog > select Desktop Pools. 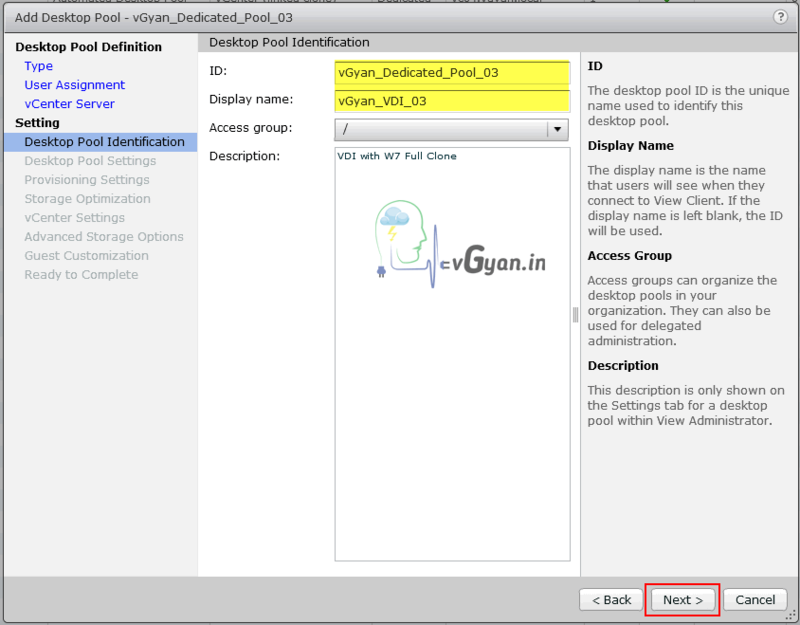 In Desktop Pools tab, click on Add.. button. 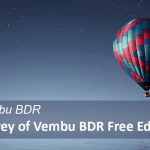 Today we going to discuss about Automated Desktop Pool with Full Clone technology. 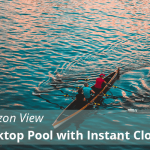 Select Automated Desktop Pool and click Next. As I mentioned earlier, we are going to deploy Dedicated desktop pool. So select Dedicated option. 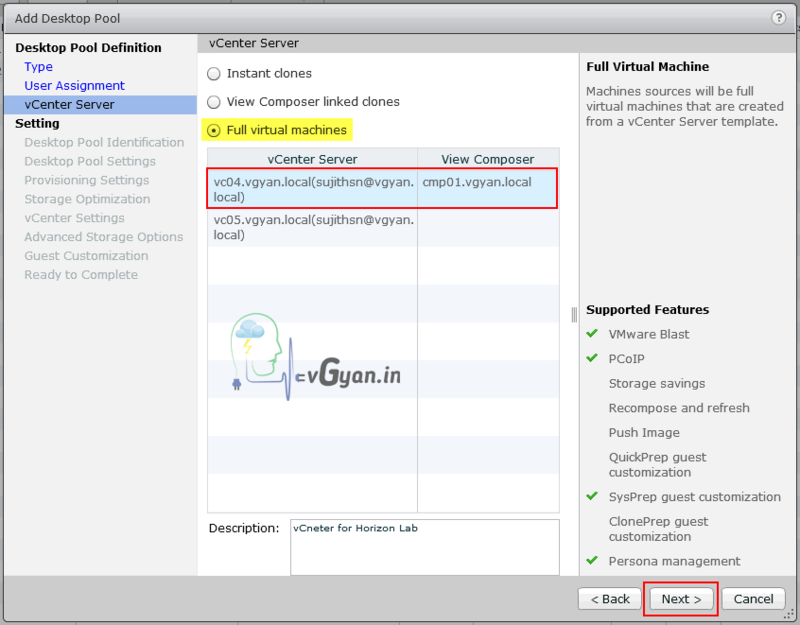 Select Full virtual machine option and select targeted vCenter server. 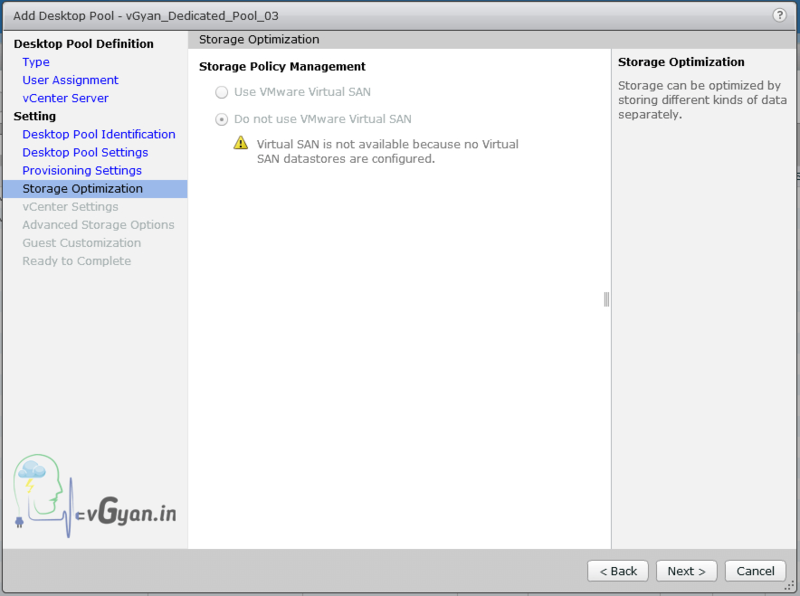 Now we have to setup/customize desktop pool. I am not using any Mirage service now. 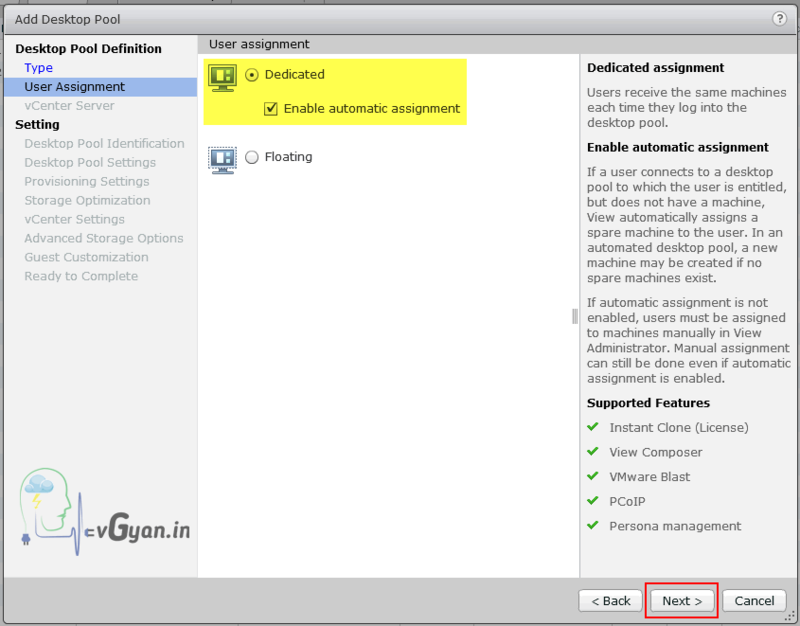 Under Basic, select “Enable provisioning” and “Stop provisioning on error” options. 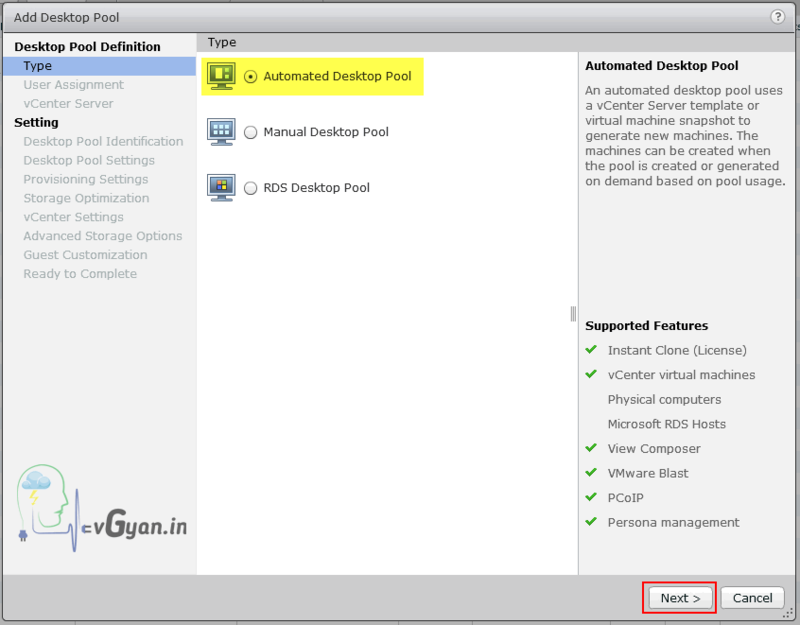 Under Desktop pool sizing, provide required inputs according to your requirements. 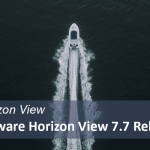 Provisioning Timing: Provision all machines up-front. I don’t have any Storage Policy Management settings, Click Next. In vCenter settings, we have to specify Template, VM Folder Location, Resource details etc.. 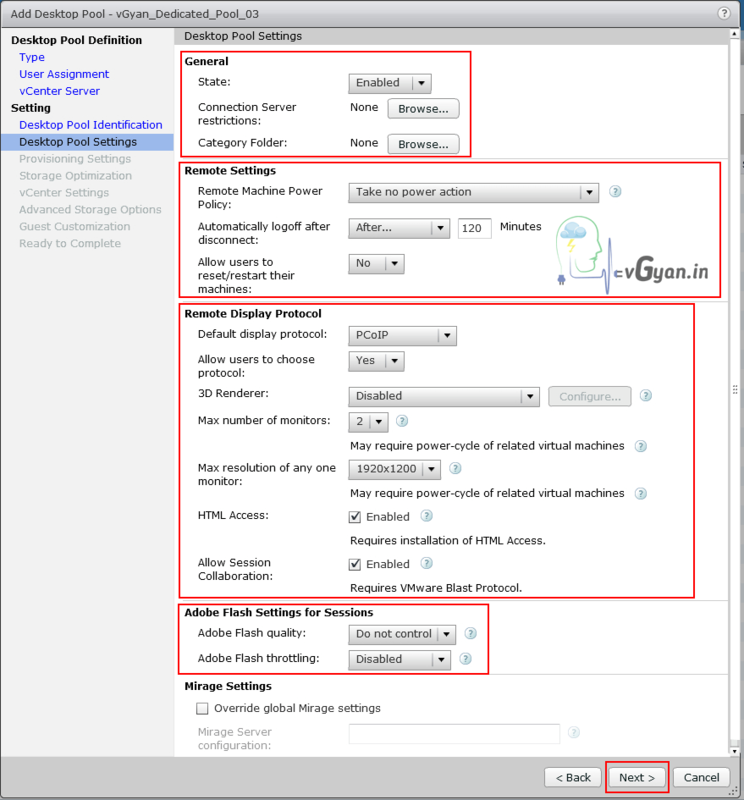 Provide all the required inputs and click Next. 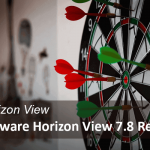 For creating windows 7 template/golden image, refer here. 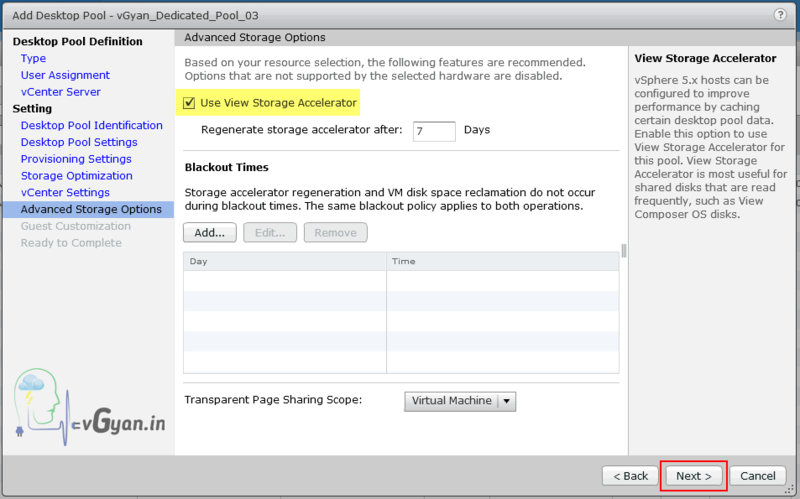 Check the box for Use View Storage Accelerator, and then optionally configure a blackout time. 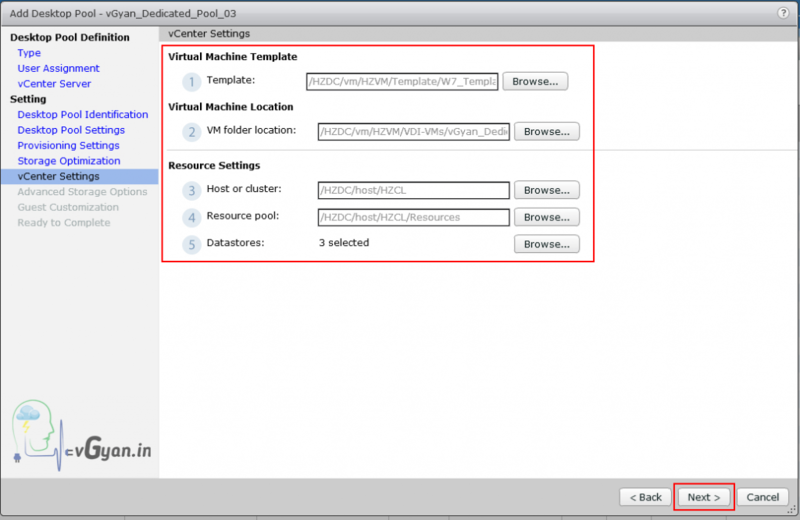 Transparent Page Sharing Scope set as Virtual Machine. Click the radio button for Use this customization specification. 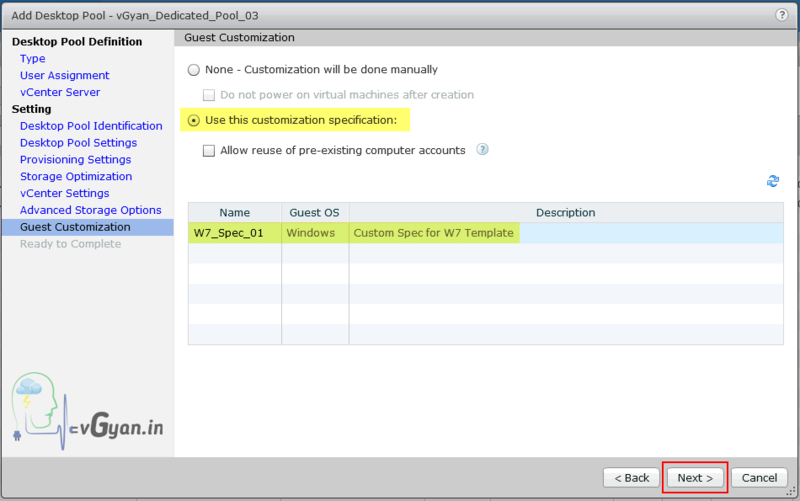 Select “W7_Spec_01” custom specification. 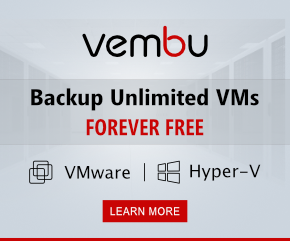 Verify all the details and click Finish. 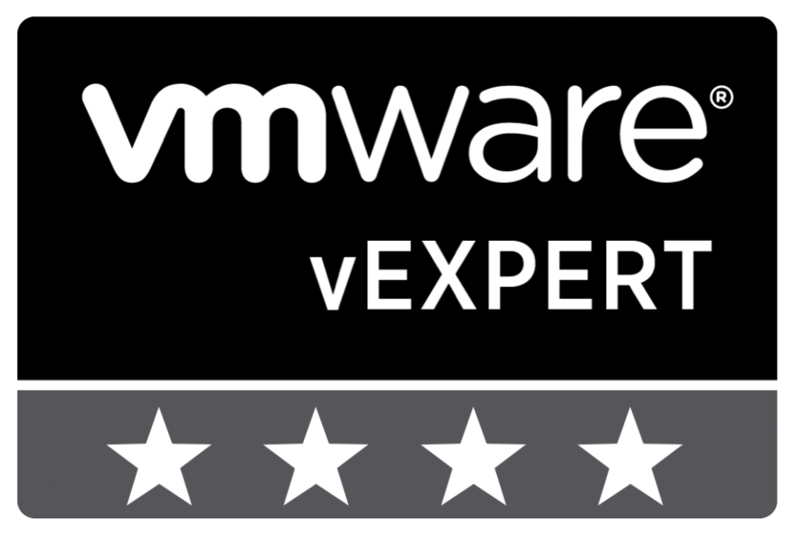 More about User Entitlement click here..
Verify “VDI-DP03-1″ virtual machine status in View Administrator, make sure it should be in “Available” state. 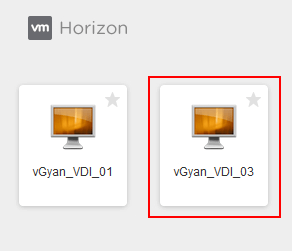 Login to Horizon client with Entitled User name and password and click on newly deployed VDI desktop “vGyan_VDI_03“. 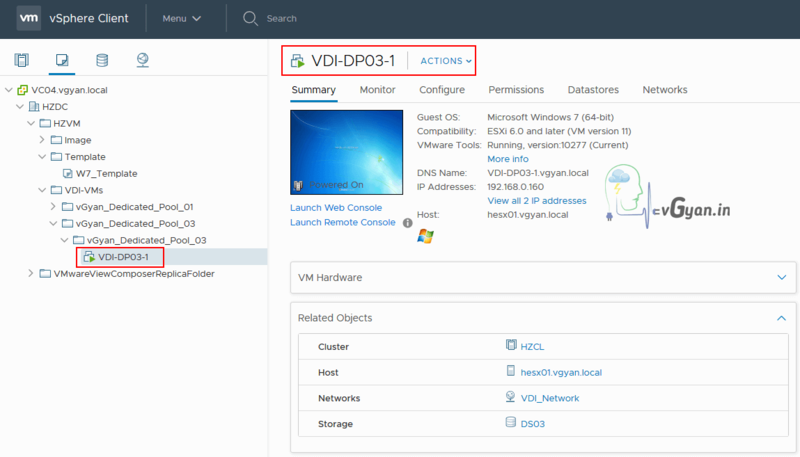 Now I am able to access newly created “VDI-DP03-1″ desktop. 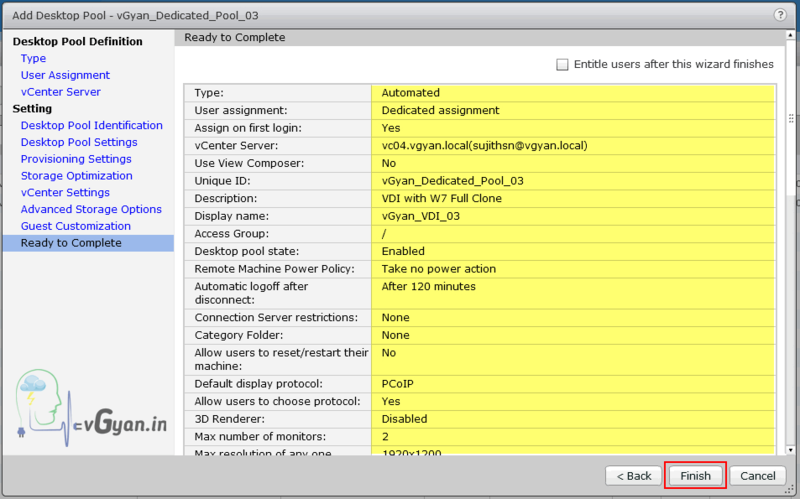 So we successfully deployed Automated Dedicated Desktop Pool with Full Clone Technology.